This past April, I returned to Liberia for the third obstetric fistula campaign in 9 months. Each visit builds on the previous trip, on the surgical skills taught to the Ob/Gyn residents in Phebe and the care given to our fistula patients, many whom need multiple surgeries to repair pelvic damage due to obstructed labor and fistula formation. This last trip was funded in part by WAHA International and I am very grateful for their support. WAHA is an amazing organization that is committed to helping women and children worldwide. Our work was also supported by the hospital staff and the Liberian College of Physicians and Surgeons as well as the Ministry of Health. On the ground, in addition to wonderful staff, nothing could have been done with out the help and coordination of Dr. Lise Rehwaldt, an Ob/Gyn and attending in Phebe and the senior Liberian Ob/Gyn residents, Drs. Wheesah, Massaquoi, Geha and Karbah. The Phebe Hospital and School of Nursing is in Bong County, Liberia, over 100 miles from the capital, Monrovia. It was opened in 1965 with the support of various churches and the Liberian Government . It currently relies heavily on donor assistance. Major departments include medicine, Pediatrics, Surgery nad Ob/Gyn. It was established as a 62 bed hospital with rudimentary Intensive and Critical Care units. It is also a school of nursing in collaboration with nearby Cuttington University. Phebe has 2 operating rooms and has a dedicated generator. Running water is occasionally present, however, my experience was more with stored water in large plastic containers. There are full-time Nurse Anesthetists and NA students who are highly capable, helpful and always available. The senior Ob/Gyn residents spend the year in at Phebe and and a local Maternity Hospital. A structured and MOH-approved VVF curriculum allows for a resident to scrub on every fistula case and also for a structured series of lectures based on FIGO’s VVF Training Manual. After arriving late in the evening into Monrovia, I was met by a driver from the Liberian College of Physicians and Surgeons. I spent the night in Monrovia and left for Phebe, a 3 hour drive, early in the AM. Upon arrival, I settled into a room on the Phebe Hospital grounds spent the day pre-operatively evaluating the women who may need surgery. With Dr. Rehwaldt, and Ob/Gyn based in Phebe and senior Ob/Gyn residents, women were interviewed, examined and scheduled for surgery if deemed candidates for an operation. Lectures that are part of the residents’ fistula training curriculum were given during 2 afternoon sessions. We are grateful to these Liberian women for trusting us with their care and thankful that IMR can continue to work with Phebe Hospital to train the next generation of Ob/Gyns in Liberia in vaginal surgery and obstetric fistula repairs. Together with our partners who support us and those on the ground, we can make strides to end fistula in Liberia! Our next trip is planned for fall of 2016. We would love your support to continue our work! Emergency Medicine training for Haitian nurses begins! Earlier this year, we began hearing stories from Port-Au-Prince's Haitian National Hospital (HUEH) that there was a dire need for practitioners who specialized in Emergency Medicine. HUEH is Haiti's national government run hospital, yet currently there are no EM-trained practitioners on staff. To address this crucial need, we conducted the first of our training sessions for the ER nursing staff of HUEH, which consisted of approximately 25 participants. Lectures were given in a small group format based with discussion facilitated by IMR's Dr. Schiller, translated by IMR volunteers. We also brought Dr. Cameron Kyle-Sidell from University Hospital, a hospital built by Partners in Health in Mirabalais, to provide lectures in an effort to coordinate between the two hospitals more closely. The seminar was very well received by participants and we hope for this project to continue over the next year, with expansion to include interns and residents. We traveled to Port-Au-Prince in February to continue our work in the National Hospital. The team consisted of myself and gynecologic surgeon Dr. Lise Rehwaldt. I was thrilled to have Lise join me and contribute her vast experience working in resource-poor areas, gynecologic surgery and resident education. Cervix cancer screening was performed, and didactic training was given. This was the 1st time we had the capability of performing screening and hope to continue to build on this initiative. One of our patients had advanced cervix cancer and her referral to a facility for further treatment was secured. IMR’s focus on surgical training continued with major operations performed in the hospital’s ORs, focusing on using what is readily available and creating feasible alternatives to other needs. Residents actively participated in all cases, which consisted of major pelvic reconstructive surgery for pelvic organ prolapse and genito-urinary fistulas (obstetric and iatrogenic). The feedback from attendings and residents was again overwhelmingly positive as we seek to build on the relationships formed with the Ob/Gyn department and the hospital. We traveled to the newly built hospital in Mirebalais and met with the head of Ob/Gyn to discuss possible collaboration in the future. Our work was supported in part by generous donations of medical supplies from Direct Relief International and surgical supplies from MAP International’s GEMS program in partnership with Ethicon/J and J.
We’ve just wrapped up a week-long project in the southern city of Butare. This was our first trip to Rwanda, and we focused on the implementation of a pilot program teaching primary healthcare providers at Rango Health Center located on the outskirts of the city. Rango is a very busy clinic serving the local community 24 hours a day staffed primarily by nurses and midwives. Their patients suffer from things like trauma, difficult infections--such as tuberculosis, malaria, or HIV-related illnesses--as well as general adult and pediatric disease. In addition, Rango provides prenatal care and is a safe place for women to deliver their babies. 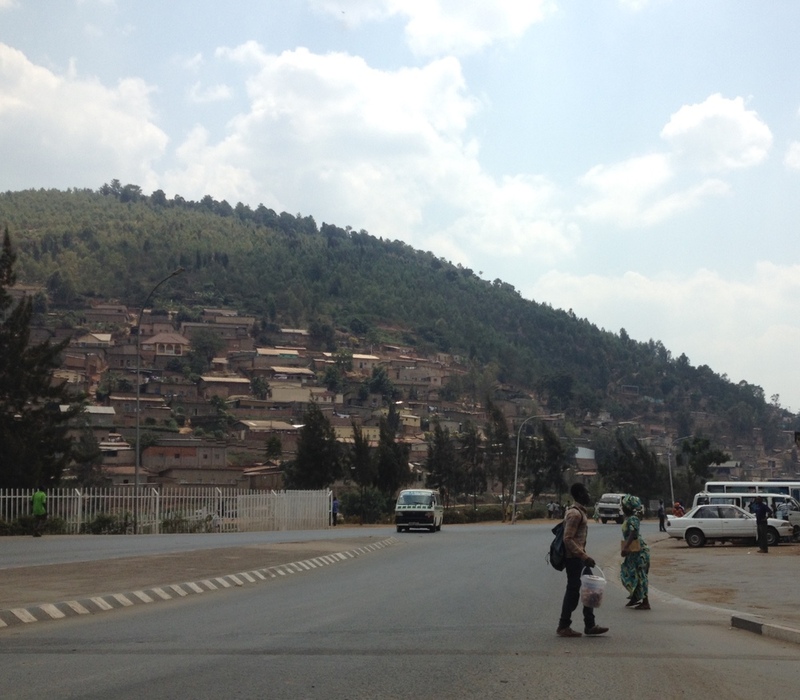 We chose Rango as a site for our project through a collaborative effort with AIGINET, a non-profit organization run by Rwandan native Claire Umubyeyi, which focuses on community building in Butare. Since the genocide in 1994, Rwanda has made significant advances in providing healthcare to its citizens, but like many other sub-Saharan African countries, the country still struggles with basic preventable and treatable conditions. Our mission for this trip was two-fold: first, to identify the needs of the health center; and secondly, to supplement their knowledge and skills in recognizing and treating emergent patient conditions. We began the workshop going over how to take a thorough history on the patient and conducting physical exams with an emphasis on “red flag” exam findings. We then discussed abdominal and respiratory conditions that require prompt recognition and intervention and about emergencies that may arise during childbirth such as postpartum hemorrhage and an unresponsive newborn. 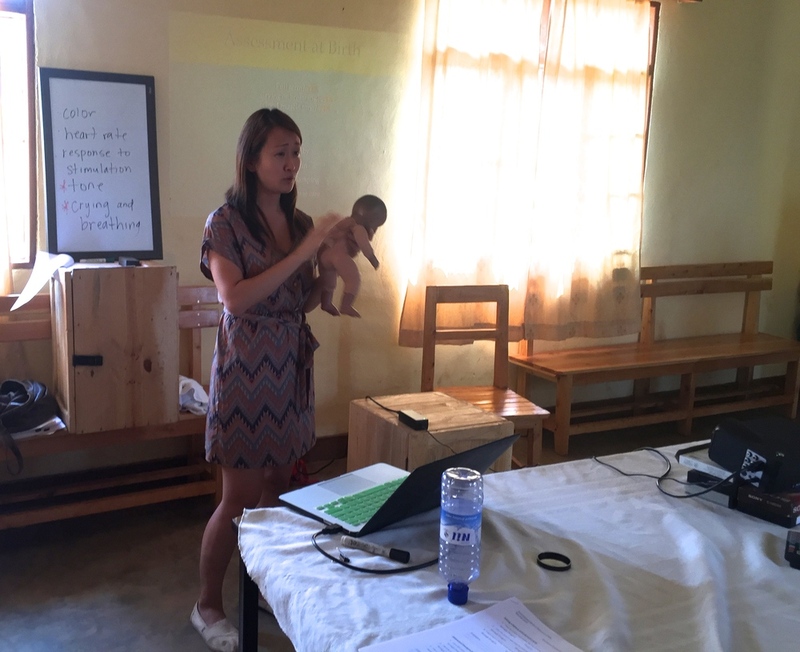 By the end of our presentations, the participants were able to more accurately estimate postpartum blood loss, identify which patients required prompt transfer to the district hospital, describe management steps to treat severe diarrhea and dehydration, and utilize correct technique for resuscitating a newborn. The participants were active in describing their clinical practice as well as asking questions; as a result, much of our time was spent in small group discussion. Through our exchange, we learned that these folks demonstrated amazing abilities to be resourceful to compensate for lack of resources. For example, Rango had new pulse oximeters but were nonfunctional due to faulty wiring, yet the nurses could easily list signs and symptoms of respiratory distress and decreased oxygenation. Rwanda is one of the few African countries where substantial gains in health indices have been made and that was evident by the amount of pride and care that the practitioners took in their care of the community. It was no surprise that they took a similar approach towards our curriculum. As a result, the training was intense but by the end, a feeling of genuine accomplishment was felt by instructors and students alike. We have gotten excellent feedback so far, and are in preliminary discussions with the director of the area hospital--who had attended our first day--about expanding our curriculum to multiple clinics district-wide. 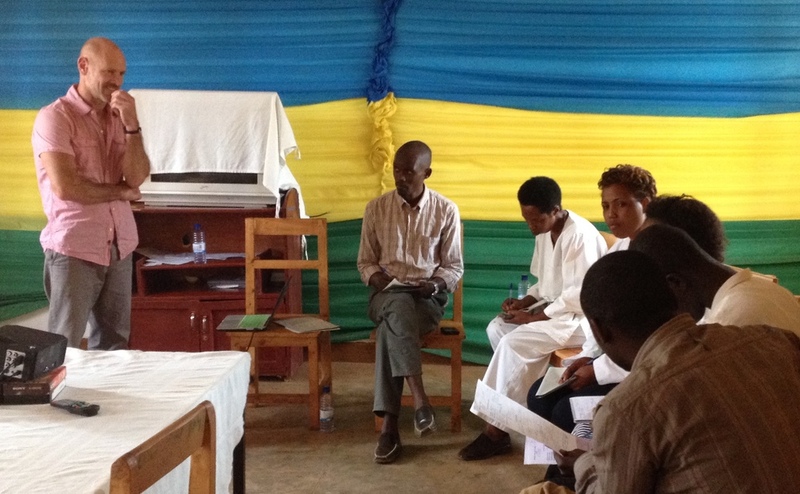 In addition, there has been interest among several groups in the area for IMR to serve in a supportive role for medical and psychiatric evaluations of Rwandan widows and orphans. It was apparent that the locals are heavily invested and committed to bettering their community and this inspires us to support them in the best way we can. We hope to continue building partnerships in Butare to help this community and we appreciate your continued support for these important projects!